The best available evidence recommends ultrasound as the diagnostic modality of choice for the diagnosis of ileocolic intussusception in children, according to new research published in the journal Academic Radiology. 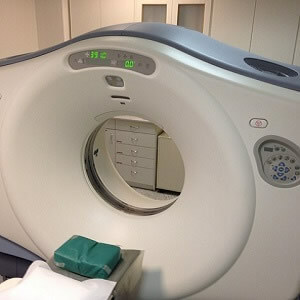 The study assessed the diagnostic performance of radiography, ultrasound, and computed tomography (CT) in the detection of intussusception. Intussusception is the most common cause of small bowel obstruction in children between three months and six years of age. While intussusception can occur in large or small bowel, it is most commonly ileocecal. If untreated, this will progress to bowel ischaemia, necrosis, and perforation. Children with intussusception may have variable presentations, making the diagnosis often a challenging one. The classic triad of vomiting, colicky abdominal pain, and bloody (so called “red currant jelly”) stools is seen in less than 50 percent of patients. "Although high-quality evidence for the diagnosis of intussusception is lacking, the available evidence suggests that ultrasound is the treatment modality of choice for the diagnosis of intussusception. It is highly sensitive and specific when performed by an experienced paediatric radiologist and avoids radiation exposure to the child. It is also more effective at diagnosing pathologic lead points than fluoroscopic-guided enemas or plain radiography," write the study authors. For this study, researchers searched the literature using the patient, intervention, comparison, outcome (PICO) method for the evaluation of the three imaging modalities in the detection of intussusception. Retrieved articles were appraised and assigned a level of evidence based on the Oxford University Centre for Evidence-Based Medicine hierarchy of validity for diagnostic studies. It was found that the retrieved sensitivity for the diagnosis of intussusception using plain radiography is 48%, with a specificity of 21%. In contrast, ultrasound's retrieved sensitivity is 97.9%, with a specificity of 97.8%. According to the researchers, the use of plain radiography cannot be recommended in the routine workup of suspected intussusception because of the unacceptably low sensitivity and specificity and high false-negative rates. Also, this method exposes the child to unnecessary radiation and is unreliable. As for CT, this is reserved for equivocal cases, where other modalities have failed, or where further evaluation of pathologic lead points is warranted, the research team says. 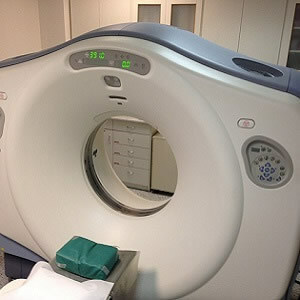 "The routine use of CT in the diagnosis of intussusception is not justified because of the high radiation exposure to the child," the researchers note. More evidence is needed to compare the different diagnostic modalities for intussusception in children, the team says, adding that there are no systematic reviews published to date on the diagnosis of intussusception.